Kathleen Woodhouse is Founder and Principal at Woodhouse Partners, a consulting practice focused on increasing leadership and organizational capability to drive bottom-line results. She works with clients around the critical levers of success, which shape culture and capabilities that drive business growth and profitability: strategic alignment, organizational effectiveness, leadership development, and balanced scorecard metrics. Kathleen’s hands-on approach, coupled with her professional experience and personal insights, ensures that clients get a realistic assessment of personal and organizational strengths and opportunities. She is results-oriented and holds her clients accountable for their commitments. Kathleen’s work with her clients and their stakeholders has proven to be effective at multiple levels in the organization. Kathleen has experience in many areas of Human Resources including leadership development, organizational effectiveness, talent management and operations. She has partnered with executives in the Engineering, Sales, Marketing, Manufacturing, IT, and Finance disciplines. Her passion and expertise is in Leadership and Organizational Effectiveness, working with leaders and their teams to create an environment where people and teams excel. She has worked with executives in the US, Canada, China, India, and Europe. 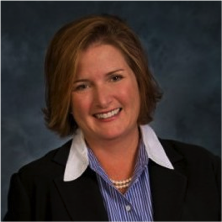 Just prior to starting Woodhouse Partners, Kathleen was Corporate Vice President of Human Resources at Advanced Micro Devices (AMD). While at AMD, Kathleen led significant organizational design initiatives, including the restructuring and talent planning for the global engineering organization, comprised of more than 6,000 people. Prior to AMD, Kathleen spent more than a decade in HR leadership roles at Dell, where she lived in the US and in Europe, and led a Learning & Development team in 13 countries for the $8 billion EMEA region. While at Dell, Kathleen developed a leading edge Succession and Leadership Development initiative to increase individual and operational effectiveness, and to build overall bench strength, which was subsequently adopted company-wide and executed globally. Kathleen has a BBA in Advertising and a Masters in Human Resources Development and Leadership from the University of Texas. She and her husband live in Austin, Texas with their two children.